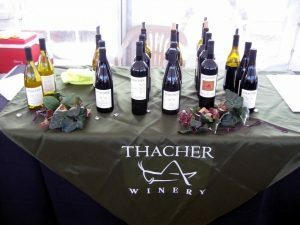 Imagine great Art and wonderful Wine — all presented the visually stunning setting of a beautiful lake surrounded by forest and majestic mountains. This renowned “must-attend” event attracts art patrons and tourists from all over the Southwest. Live Entertainment, Delicious Food, Wine and Beer all complement your Festival experience. 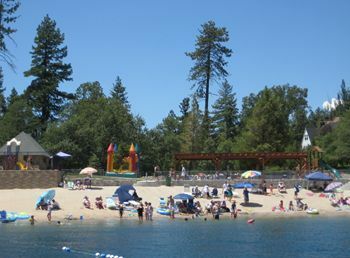 Arrowhead Lake Association manages the Tavern Bay Beach Club, Burnt Mill Beach Club, Peninsula Park and Grass Valley Park. All members have access to the parks but only Beach Club Members and Dock Members may enjoy the beach clubs. Members are welcome to use the Beach Clubs when they are not staffed but should bring their own snacks and chairs. Also, remember the county health codes still apply and there are no dogs or glass containers allowed on the beaches or in the swim areas. Bowling at Rim Bowling and Entertainment Center is family fun at its best. It’s a great way to spend some quality time everyone will enjoy. Bowling, video games, food, beverages – there’s something fun for everyone. Enjoy great family food – Pizza, Breadsticks, Chicken Wings, Beer, Wine and More… They offer family specials as well as food to-go. 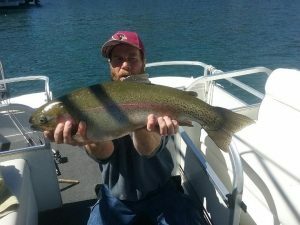 Rainbow Trout are planted in the lake annually. Some of these are tagged. If you catch a fish with a tag, please call ALA and let them know the size and location of the catch. This information helps them in fish stocking efforts. State fishing regulations do apply and state fishing licenses are required. 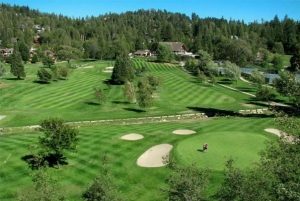 Dedicated to the proposition that membership is a true privilege, Lake Arrowhead Country Club caters to an exclusive, relaxed country-club lifestyle in a picturesque alpine resort. Member-owned for some 40 years, The Club offers a distinctive combination of state-of-the-art amenities, renowned 18-hole championship golf course, world-class tennis facilities, and unsurpassed levels of member service. The forest is abundant with wonderful day hikes to choose from. Lower elevation trails (less than 5,000′) are best for fall/winter/and spring hikes. Upper elevation trails are best hiked in the summer months, unless you are ready and equipped for a snowshoeing adventure! Please remember to wear clothing and footwear appropriate for the trail and weather. Don’t forget your sun hat, sunscreen, and sunglasses! Even on short day hikes it is recommended to carry a backpack with snacks, at least 2 liters of water, a pocket knife, flashlight, whistle, and a first aid kit. Remember to check the weather and leave an itinerary with someone you trust before you head out on the trail. 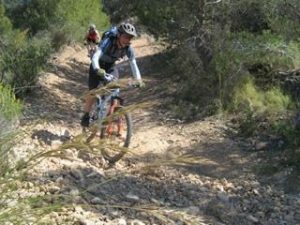 Mountain biking is a growing sport in the mountains. Riding is permitted on designated routes, which include the forest road and trail network, except for the Pacific Crest Trail, short nature trails, and any trail leading to, or inside designated Wilderness areas. Challenging routes can be found for all skill levels but the more spectacular rides are best attempted by the experienced cyclist. Route information is available at each of the Ranger Stations. Blue Jay Cinema offers the latest movies in a recently renovated theater in Blue Jay, California. The theater is roughly a mile from Lake Arrowhead Village, in Blue Jay. Purchase tickets at LeRoy’s Boardshop, located dock-side in the Lake Arrowhead Village near the boarding area for the boat tours. Private charters available – Enjoy your next outing on a private charter around Lake Arrowhead. 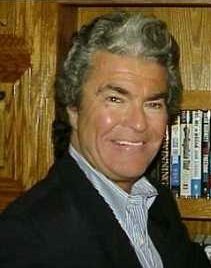 Ready to host your 50th birthday or secret announcement? The Lake Arrowhead Queen can be transformed into a floating, catered, sit down meal or dance floor. Be entertained you while you are inspired by the surrounding views. Whether you’re a seasoned professional or a first timer, McKenzie Water Ski School caters to all your water skiing and wakeboarding desires. 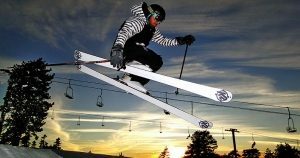 They have everything you need to enjoy a great day on Lake Arrowhead. With instructors that ski with you on the water, all ages are welcome. Their instructors are capable of getting anyone up and skiing. 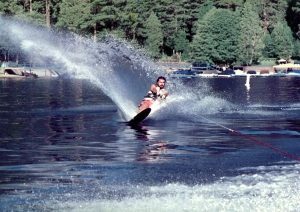 If you already know how to ski or wakeboard our staff will help you advance your skills to learn the new tricks you are looking to master.